The Woodson is closed this week and my family is in the middle of packing up for a temporary move while our house gets some remodeling. I’m thus forced to scrounge around inside my laptop for something interesting to show you. Luckily, there’s a lot of stuff in there, including some things I don’t remember ever seeing before! Here’s one small thing that I got a kick out of when I found it. In the collection of leases and deeds that my colleague has been going though, there are a couple of boxes called “Financial Records.” They go back to the absolute beginning of the Institute and contain (among other things) receipts for what seem to be every single purchase, even the tiniest such as stamps and envelopes. Many of the expenditures relate to the lawsuits surrounding the death of William Marsh Rice. 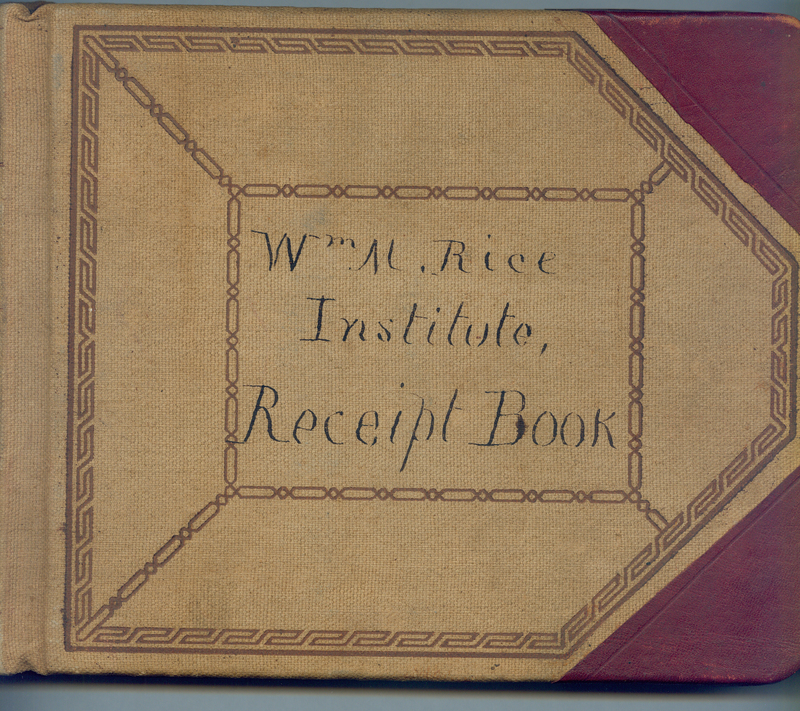 Many others, though, are for things needed for the early organization of the school itself, most bought while Mr. Rice was still alive. There are several folders of loose receipts, as well as a big receipt book. These early records were the responsibility of Emmanuel Raphael, who was the first secretary of the Rice board. (Raphael’s brother-in-law, Arthur B. Cohn, was Mr. Rice’s secretary and he was soon hired to help with the Institute’s financial affairs as well.) These men were meticulous record-keepers. That’s why I laughed out loud when I saw this. 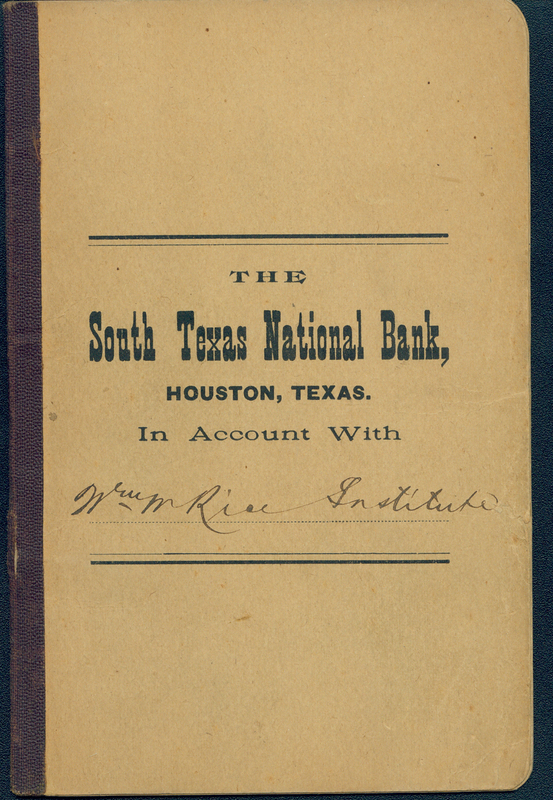 In the summer of 1894 the Rice trustees decided to put the $200,000 promissory note from William Marsh Rice that constituted the bulk of the endowment into safekeeping at the South Texas National Bank. Someone, probably Emmanuel, forgot to get the receipt signed. Someone else, whose handwriting I don’t yet know, pointed this out. Maybe I’ve been in the archives too long, but I find this hilarious. One wonders where it had been kept before. The Institute had always had its money at South Texas, which was chartered in 1890. (I know this because I also found our first bankbook.) Trustee James Everett McAshan, a prominent banker, was associated with that bank from its founding.